Trump Signs Farm Bill, Backs Rule Sidestepping Congress On More Work For Food Stamps The Agriculture Department wants to limit states' ability to apply for exemption waivers. It wants more able-bodied people to work in exchange for federal food benefits. President Trump is expected to sign into law the farm bill Thursday. Ahead of the signing, the USDA unveiled a rule change calling for more able-bodied adults to work in exchange for food benefits. The behemoth package is expected to cost $867 billion over 10 years and extends subsidies to farmers, sets conservation practices and helps millions of Americans pay for groceries. And getting to this moment was far from easy. For months, partisan bickering over whether to impose tougher work requirements to the Supplemental Nutrition Assistance Program, commonly referred to as SNAP or food stamps, raised fears a farm bill may not make it to the president's desk by the end of the year. While the House GOP-backed plan for stricter work rules was left out of the final law, hours ahead of the bill signing, the Trump administration announced it would renew those efforts. In a move that would sidestep Congress, the Agriculture Department unveiled a regulatory proposal to expand work requirements for those in receiving food assistance. The proposed rule change tightens the criteria states can use to waive work requirements in areas that have high unemployment. Currently, states are able to request waivers in areas where there are "not sufficient jobs." The USDA is calling for those waivers to be limited to one year, down from two. It also wants to slash states' ability to "bank" or carry over waivers for future years and is pushing to restrict waivers under certain criteria where local unemployment is around 7 percent. USDA officials predict the rule change will save taxpayers $15 billion dollars over a decade. "Millions of able-bodied working age adults continue to collect food stamps without working or even looking for work. Our goal is to move these Americans from dependence to independence and into a good paying job and rewarding career," Trump said. In all, the proposed rule could reduce areas that qualify for waivers by roughly 75 percent, according to USDA officials. The rule will be subject to a 60 day public comment period. 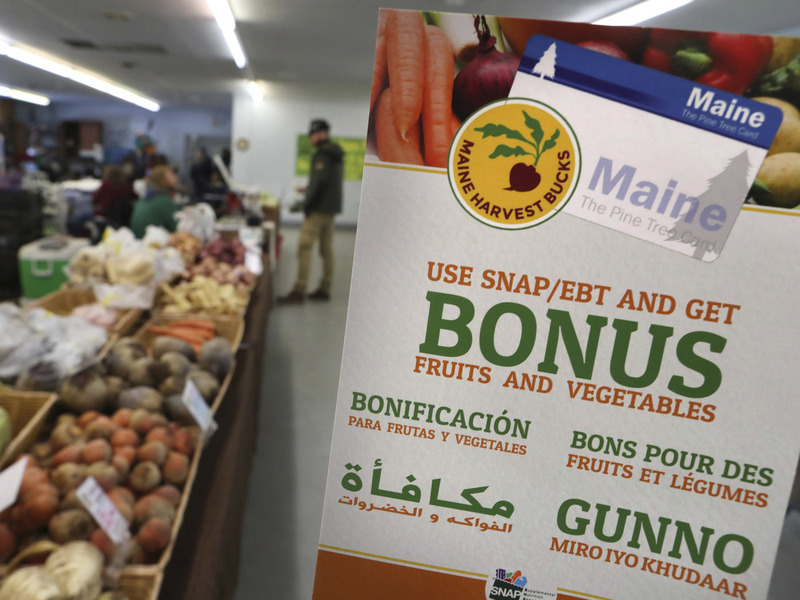 If the proposed rule change is enacted, roughly 755,000 recipients would lose food stamp benefits as a result of the new waiver restrictions, according to USDA officials. Under current law, able-bodied adults without dependents — commonly referred to by the acronym "ABAWDs" — are required to work 20 hours a week or be in a job training program. An ABAWD is classified as someone 18 to 49 who is not elderly, a woman who is pregnant or someone living with a disability. According to a USDA fact sheet, 2.8 million individual ABAWDs on SNAP rolls in 2016 were not working. Democrats on Capitol Hill lambasted the proposal. Including Sen. Debbie Stabenow, D-Mich., the ranking member on the Senate Committee on Agriculture, Nutrition and Forestry, who said the proposal was "driven by ideology." "This regulation blatantly ignores the bipartisan Farm Bill that the president is signing today and disregards over 20 years of history giving states flexibility to request waivers based on local job conditions," Stabenow said in a statement. "I do not support unilateral and unjustified changes that would take food away from families," she said. Rep. Mike Conaway, R-Texas, the chairman of the House Agriculture Committee, cheered the administration's push. "This is an issue we took head-on in the House-passed farm bill, creating a roadmap for states to more effectively engage [able-bodied adults without dependents] in this booming economy," Conaway said in a statement. "I applaud the proposed rule and proudly stand with the Trump administration in demonstrating the importance of state accountability and recipient success." One of the big changes to the Farm Bill this year is that it legalized industrial hemp. Before the bill signing hemp, a form of cannabis, was listed by the federal government's Schedule I drug, under the Controlled Substance Act. The U.S. hemp industry is expected to blossom now that the farm bill is the law of the land.